Have you ever had a photoshoot scheduled and it looks like it’s going to rain shortly before your outdoor-Oregon family photo session? Don’t worry too much about it, call your photographer up and see if they think it’ll still be a good time to take photos. 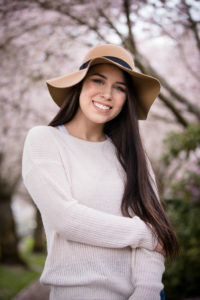 If the weather is like many Spring days in Oregon are, there is likely a chance that that dull gray sky will actually enhance your photos. I like to think of those dull gray clouds as a gigantic light diffuser. Talk to your photographer to see if the weather will be good or not, you may be surprised. 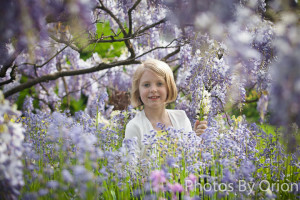 Spring time is the best time to go out and capture family photos with excellent greenery and flowers. The grass is vibrant green and the flowers are usually plentiful and colorful. If you don’t have a special place in mind for your photoshoot, your photographer will. I have several places around the Willamette Valley that I enjoy taking clients to and I typically try to schedule photoshoots around the times when those flowers and trees look their best. 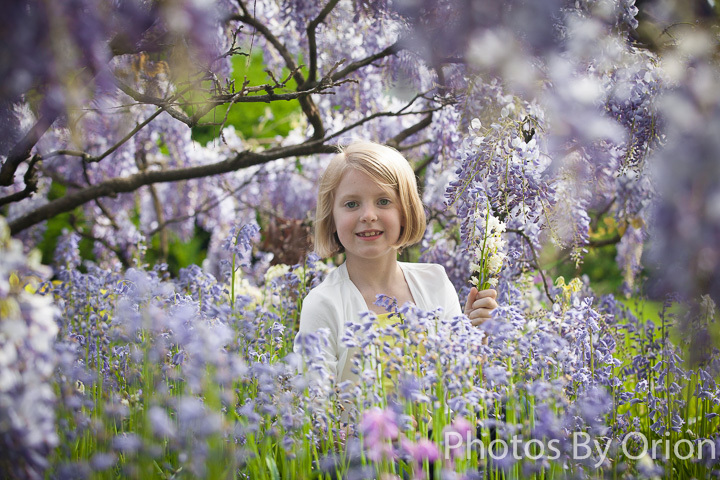 A personal favorite are the Japanese Wisteria in Bush Park. The weather in Oregon during the Spring is a time of change and your clothing choices should follow suit. =-) I recommend being prepared for both rain and sun. If you happen to have a new jacket, bring it along. It may go great with the background. Not every photoshoot needs to be formal. Sometimes, props can be great add-ons to a session. 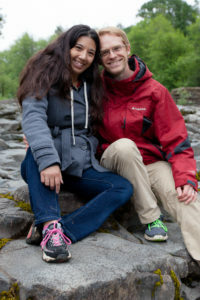 Here in Oregon, an umbrella may not get used in the rain, but it can make a great prop for photos! Giving it a little thought and grabbing a couple things that are special to you can take a good photo session to great in a flash.